If you are looking to develop a mobile app, then app development costs is an important topic to you. Note that all the costs I’ve mentioned below are in Singapore dollars as the context of our discussion is Singapore. Here are some of the items that affects the cost. Apps with back-end servers will almost always cost more. Simple apps for one platform will start around $10,000. More complex apps cost six figures. Some even over $1,000,000. Costs will also vary based on who builds it – some companies can get things done cheaply, but without quality. Some companies can invest their best talents in building your app, but don’t come cheap. High end agencies that spend time on research and study as well as building a killer user experience will cost more, as they don’t only write codes. What kind of app development firms do you prefer? The first thing you may consider is vendor selection. Not all the vendors are the same. If you go for a higher end vendor, the prices will be higher but in most cases quality will also go up. At the same time, there are many companies in Singapore who are actually just a front for off-shore development shops. They can charge you half the price others quote you for building a mobile app, but they just offshore it to a cheap overseas sweatshop and earn perhaps a margin of 70%. Compare that to getting a higher end mobile app developer to do the job. Maybe their price is higher, but they actually don’t profit that much off your project in most case. This means that a larger percent of your cash goes into doing the actual work, rather than lining a salesman’s pocket. What about the price range? Typically, most development houses charge by something we call the “man-days”. Basically, they take a look at your requirements, estimate the number of days it takes for them to build what you need, and multiple that number by their “man-day rate”. For example, if the man-day rate is $800 and they estimate they need to spend a total of 100 man-days spread out across iOS, Android, CMS, Backend development and design, then the project costs $80,000. The ‘big boys’ in Singapore, such as big consultancy firms like KPMG and Accenture, charges anywhere between $ 1,500 to $ 2,200 per man day. They also do not typically work on your project unless it is a high 6 figures or 7 figure project. Typically, these firms are enabled by government organisations or other big MNCs. The higher-end development houses in Singapore such as Originally US, Codigo, Rainmaker-Labs and Buuuk charges anywhere between $700 to $ 1,000 per man day. Their rates a good trade-off between affordability and quality. Like the big boys, their typical clients can include big MNC firms and government organisations. At the same time, most of the higher-end development houses in Singapore also occasionally design and develop mobile apps for SMEs and startups. The low-end development houses in Singapore typically charges between $ 500 to $ 800. I will not be listing them here as they can be easily found when searching via Google. They invest strongly in search engine hacks and optimization to be featured prominently in order to earn new businesses. While they are only slightly cheaper than the higher end companies, their quality is a lot less as they typically earn from project quantity – close as many sales as possible to make profit. This means they may not pay as much attention and level of detail to your project due to the low costs. Additionally, such companies are typically a front for off-shore development firms, simply outsourcing the project to be built by the cheapest off-shore company that charges typically between $ 80- $300 per man day. Unless a development shop is a scam, money buys quality. When investing in something like mobile apps, it is important to pay attention to quality as quality of the app represents your brand and reputation. At the same time, you want your investment to continue to work for many years to come. What happened to many mobile app projects in Singapore is that many projects fail as the apps don’t work very well. Either the users hate them due to poor design and usability, or the features flat out don’t work and crashes all the time. Instead of going for the lowest bidding and risking your reputation and the success of the project on lower end company, sometimes it may be crucial to compare invest a little bit more upfront (painful now), and enjoy a well built mobile app and great returns on investment in future (happy forever), rather than enjoy a cheap deal now (happy now), and face issues with the development company or mobile app and possibly have to scrape the whole thing later (painful forever). If you are an employee in an organisation sourcing for a mobile app development firm, it is worth nothing that if you source for the cheapest development company, your bosses may be happy that you “saved” some money but they definitely will not thank you if the project fail later. On the other hand, if you can select a reliable and trusted mobile app developer from the start and justify the costs to your boss, you will enjoy the fruits of your decisions if the project is a success. I’ve also heard many cases where executives get promoted very quickly because they have successfully rolled out mobile app projects for their organisations. How To Estimate The Cost? If you select a higher end developer in Singapore, here are some baselines which you can reference in terms of mobile app development costs. To help you understand the ballpark better, there are various online mobile app price estimates tools. 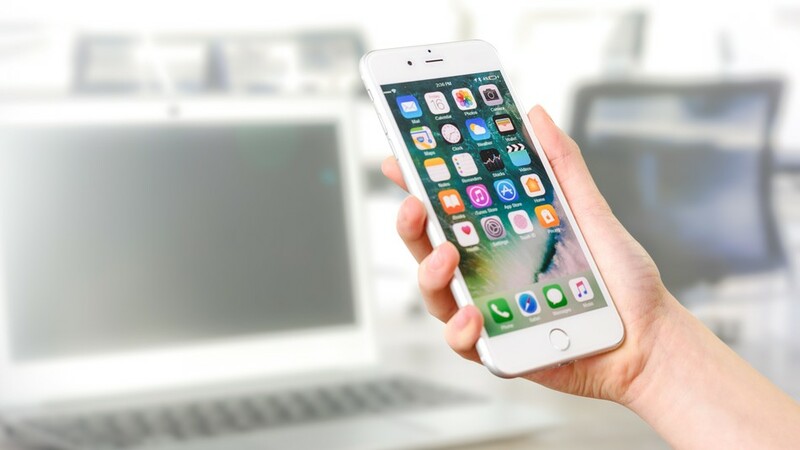 However, most of them are developed for the US market and have much higher prices as compared to when engaging Singapore mobile app development companies. However, from Google search, I have found a mobile app price estimate calculator developed by Originally US, one of the higher end mobile app developer mentioned above. You can try this tool out here: How Much To Build An App.